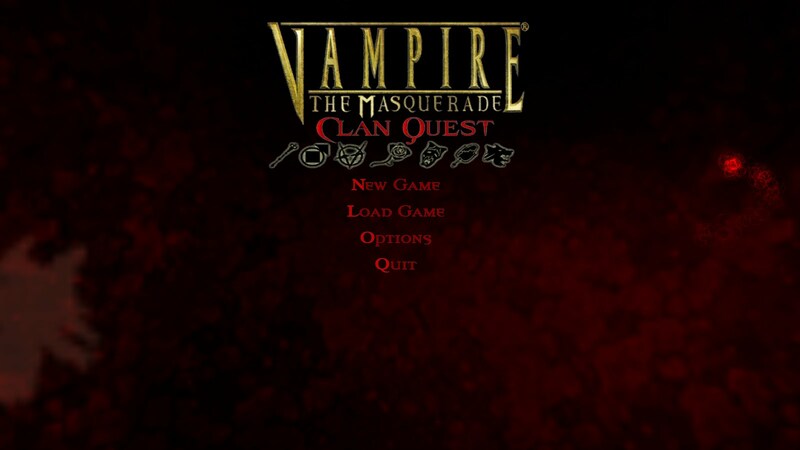 I joined the crowd of RPG fans elated at the recent announcement in San Francisco about a new Vampire: The Masquerade game. I'd been loosely following the rumors swirling over the last couple of weeks, mostly driven by the ARG Tender app, and was curious about what was in store, but honestly was not expecting a proper sequel to Bloodlines. Very few games have made a sequel after 15+ years of silence. It's really thrilling to see this is actually happening: Bloodlines has been an underdog cult classic for so long, but continues to see good traction on the Steam and GoG charts, and has a vibrant and active modding community, so I think the corporate suits with money noticed that there's a legitimate opportunity here and funded it. And it surely doesn't hurt that the game is so beloved by so many. I'm allowing myself be be somewhat optimistic... not exactly preorder-optimistic (though it is already up on the Steam storefront), but the early news seems very encouraging. Paradox has a terrific reputation: I've only played Europa Universalis, but I know Stellaris has been getting rave reviews, and Paradox has a great track record for supporting their games long into their lifespan. What's really selling me on Bloodlines 2 at the moment is the writing staff. Brian Mitsoda, the original lead writer, is back, which by itself would be hugely encouraging. He's joined by Cara Ellison, a smart and thoughtful critic and writer who most recently helped deliver Dishonored 2. And rounding out the trio is Chris Avellone, an RPG writing hall-of-famer. I'm not super impressed by the one trailer we've seen so far; it's almost entirely combat-focused, and you'd be hard-pressed to find anyone who thinks fondly of the combat from VtMB1. But there's certainly room to improve the combat, so maybe that was the purpose; and action-heavy trailers definitely show better than long and nuanced dialogue trees. I am a little apprehensive that VtMB2 will be to VtMB1 as the new Deus Ex games are to the original: streamlined action/RPGs that honor the setting and tone but lose the vast, wide-open "anything goes" design that allows immense flexibility in solving problems, instead following a more slick and cinematic sneak-and-shoot approach. We have about a year until the game comes out, and I'm confident we will learn a lot more about it by then! The timing of the announcement is fortuitous in a couple of ways. 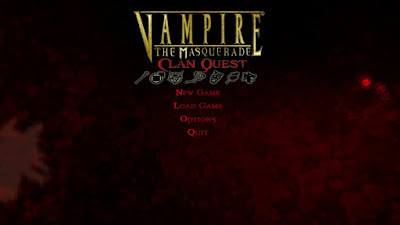 A couple of weeks ago I downloaded and installed (but hadn't actually started playing) the Clan Quest Mod, a well-regarded fan-made expansion to the base game. My original (and so far only) playthrough was with the Unofficial Patch, and I'd initially been planning on doing a modded run with the Unofficial Patch Plus, but the CQM recently came out with a major new release and I wanted to check it out. 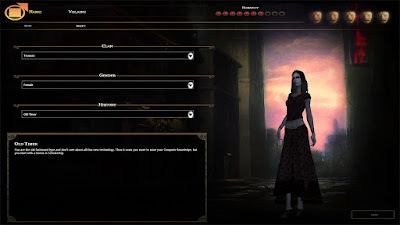 It adds new quests for each of the seven clans, and the latest version also adds a new hub area, new voiced NPCs, the option to leave the Camarilla and join the Sabbat, and contains several new endings. It also functions as a mod-manager, pulling in an assortment of features from various other mods: most (not all) of the Patch Plus content, new weapons from the Arsenal Mod, gameplay changes from the Camarilla mod, thrall followers from the Companion Mod, and a few other odds and ends. I finally fired it up after watching the trailer and getting all inspired. There are already some major differences from the character creation process: in addition to choosing a clan, you can also select a colorful background for your character, like Burnout, Dropped On Head As A Baby, Runaway, Completely Batshit, etc. These obviously impact your perception of your character, and also have mechanical impacts: for example, a Burnout is a mellow stoner who is more likely to resist Frenzy, but also has a -1 penalty to Wits. Completely Batshit is a unique background for Malkavians that gives makes their Dementation ability more potent, at the cost of more expensive Obfuscation powers. I initially skipped the tutorial, then went back and did it anyways since it's been a while and I wanted to reacquaint myself with the controls. I've noticed a little bit of wonkiness so far: one door didn't want to open at first, and I occasionally have trouble where the third-person camera is perpendicular to my character's movement. Those have easily been fixed by exiting and restarting. I'll keep an eye open on those things going forward; mods can definitely make games less stable, but Bloodlines was a notoriously unstable game to begin with, so it's always difficult to establish the ultimate source of an error. The other cool little bit of synchronicity was that my new LP from Chiasm arrived in the mail on the same day as the trailer. I first discovered Chiasm from her amazing track "Isolated," which plays inside the club The Asylum in the first game. Since then I've gone on to devour all of her other albums, and have really enjoyed hearing how her sound has evolved and grown over the years. Her new album is Reset, re-establishing a naming theme from the predecessors Reform and Relapse. It's great! Several tracks on it have appeared an earlier LP, like "Mice on a Wheel," "World Left," and "Make Believe." "Make Believe" in particular was such a joy to hear for the first time, delightful and surprising. After several listens, I think my new favorite is "Locked In," a beautiful track that ambles through the depths before soaring into the sky. 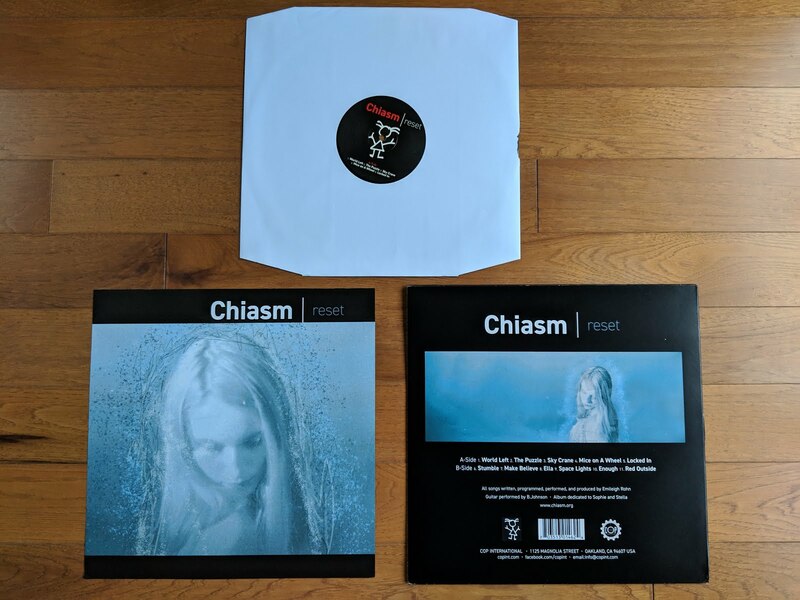 Given how many original contributors to VtMB are coming back for the sequel, I think it would be awesome to have one of Chiasm's newer tracks included in the new game as well. "Ella" or "Stumble" would work particularly well with the game's heavy industrial soundtrack. And that gets me daydreaming about what a licensed VtMB soundtrack might look like in 2020. The Birthday Massacre seems like an obvious choice to get some great goth in there. Ayria would be a ton of fun, almost any of her tracks would work great for a new club; "Feed Her To The Wolves" and "Hunger" would be great thematic matches, while "Friends And Enemies" is particularly danceable even for Ayria. I:Scintilla would be an awesome addition, especially one of their heavier tracks like Melt. And of course hearing more from Lacuna Coil and other OG artists would be awesome. So, yeah... lots of excitement over here, and I'm keeping my fingers tightly crossed that I'll be playing a fun game a year from now!